A magical aura surrounds this tree! Trees sometimes have a secondary trunk that grows up from the root, but one is usually dominant. Sometimes trees will grow up together, grafting to each other. This tree had two equally strong trunks, and seem to come from the same base, beautifully entwined with one another. Sunlight spilled through the surrounding forest and wrapped each leaf in a magical light causing every one of the leaves to glow – it was truly magical. 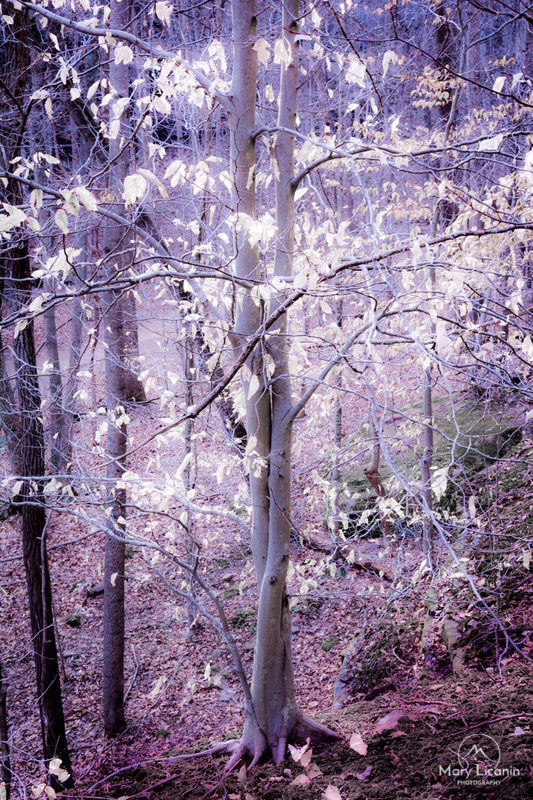 The purple hue was added in post-processing, as it seemed to fit so perfectly with this magical scene.